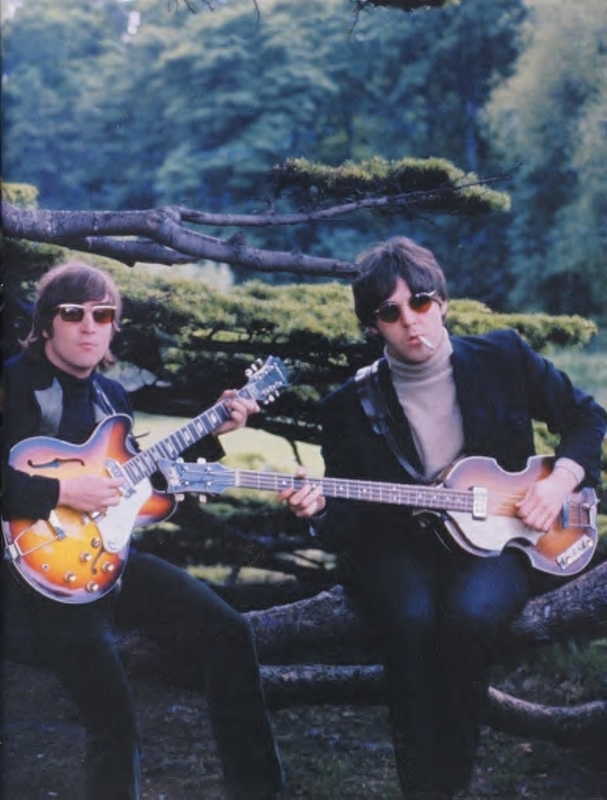 Kitchen Garden also has a story out about the Beatles filming. 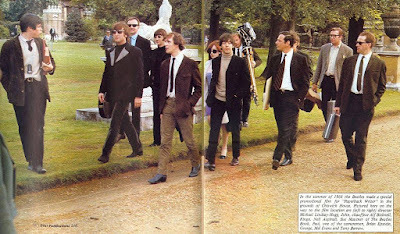 50 years since The Beatles filmed two ground breaking music videos in Chiswick House grounds. 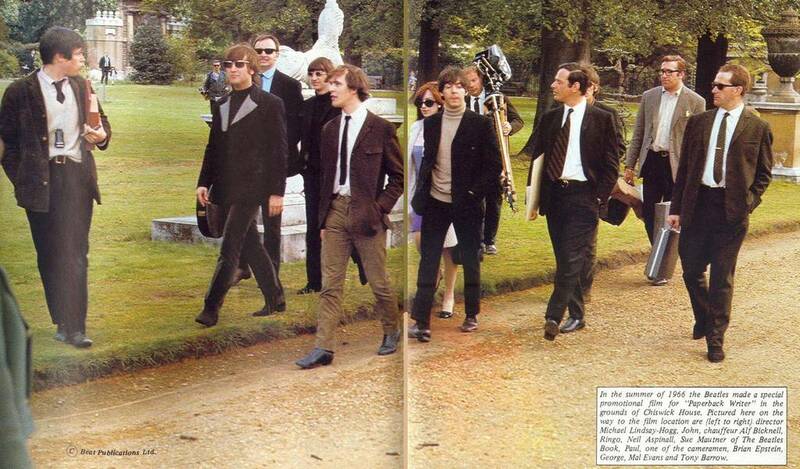 It was 50 years ago today … May 20th, 1966, that the four most famous people on the planet strolled into a public park in West London to create two ground-breaking mini films which were to change the course of music history. And Chiswick House and Gardens Trust have tracked down a young gardener who was there and helped by ferrying the band's gear around. 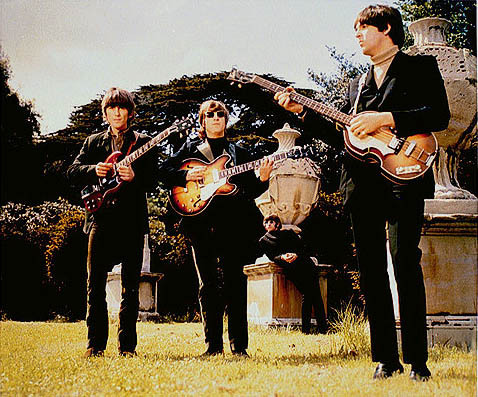 The Beatles performed “Paperback Writer” and “Rain” in the iconic 18th century gardens of Chiswick House for promotional films that were the precursors of today’s ubiquitous music videos. Up until then the few music promos in circulation had been straightforward studio performances, shot in black and white. 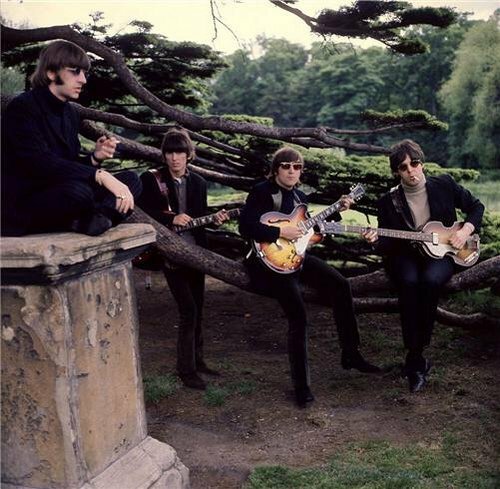 But the legendary British rock band led the way, as they had in their music, creating two cutting edge films, for the first time venturing into full colour, shot on location in the verdant surroundings of Chiswick House gardens. “Paperback Writer” opens with close ups of the Fab Four, still sporting their iconic Beatles mop hair, sitting on a bench in front of the Conservatory and a flowering wisteria. It has to be said, they look a tad bored. Then, with customary Beatles creativity and humour, it cuts to a close up of the head of an antique statue, as if he were the 5th Beatle. The film moves inside what is now a Grade 1 listed glass house with a 200 year old camellia collection, before switching to them performing in the gardens surrounded by more antique stone figures, thought to depict Caesar, Pompey and Cicero. 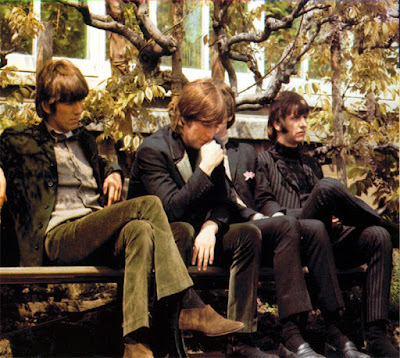 Ringo whimsically creates a daisy chain. Although the “B” side was called “Rain”, the day of the shoot remained fine and they are shown playing under the dappled light of shrubs and trees in the Wilderness, a series of serpentine paths in the grounds’ woodland. The opening shot is of Ringo, in what is now a cherry orchard, walking away from a group of secondary school children pressed against a locked gate, trying to get a glimpse of the famous four. Some primary school children got luckier, and can be seen climbing a cedar tree whilst the Beatles sit on the low lying branches playing their guitars. 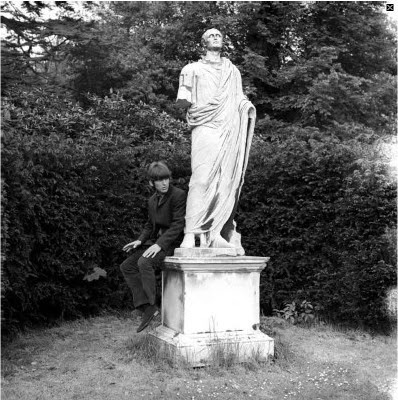 John Kenton was an 18 year old gardener, working at Chiswick House in 1966. He was given the job of ferrying the band’s equipment round all day on a truck usually used for moving earth. “It was very exciting. Quite an exceptional thing – the band were at the height of their fame. Just making films was unusual and most films were made in studios, not outside like this. They got there early in the morning and spent all day doing phrases and retakes as the technology was not so sophisticated in those days. I remember they spent a lot of time between takes in the old 50’s caff. They all smoked constantly and looked very at home. Although other members of the public came in and were around when the filming took place they were very polite and left the band alone. But then the word got out, so the dribble of people visiting the park became a flood. Pupils from the school over the road came, so the band took refuge in the potting sheds at the back of the Conservatory where the peacocks were kept. Although the Beatles are long gone, fans and film aficionados still make the pilgrimage to the 65 acre heritage estate, cared for by the Chiswick House & Gardens Trust. It looks significantly better than it did, thanks to a major £12 million restoration in 2010 and is a popular setting for weddings, film and fashion shoots. There is a popular annual Camellia Show in February and March in the conservatory where a lot of the filming took place. You too can follow in the footsteps of the Fab Four, free of charge, visiting the Exedra, the Wilderness, conservatory and walled garden and “Get Back” to where the Beatles made music history half a century ago. Funny because I've only ever seen pictures of Paul riding a bike that day.